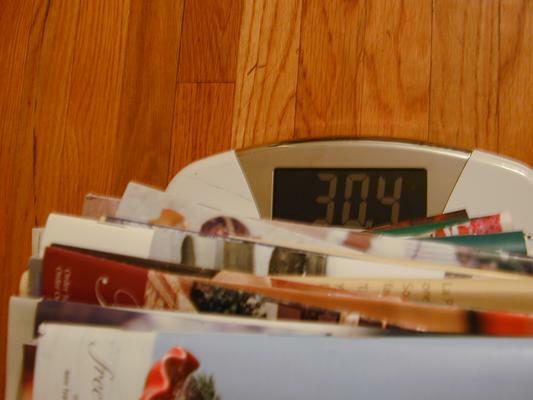 We came home from Thanksgiving in Chicago to find a pile of catalogs waiting. 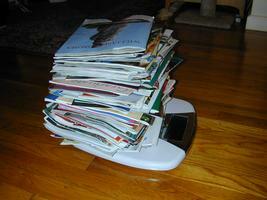 For kicks I piled the last 2-3 weeks’ worth of dead trees spam onto a scale and weighed it. See the photo to the right. A whopping 30.4 pounds in total. Click the photograph to see the proof!